While serving with A/1/35, we interrogated many prisoners for all kinds of information. One thing that we learned was that they could smell us! When we got specific, we learned that they could smell Jiffy Pop a mile away ! This word spread quickly and we developed a new way to eat our favorite popcorn undetected. We would dig a hole big enough for a man to get in. We would take C4, cut a piece, put it in the bottom of the hole and send a man down to pop some corn. He would eat a few handfuls while covered with a poncho and then come up for the next guy to go down and eat some. 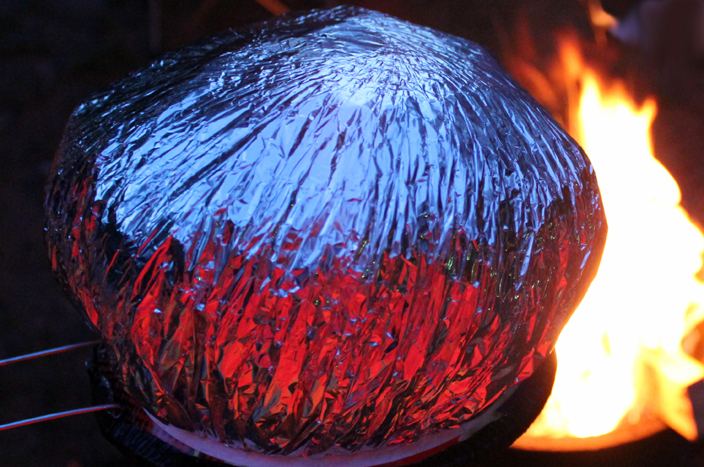 I can't remember where all this Jiffy Pop came from, but we all wrote home about it and before long, we had all we could eat from CARE packages. As far as we know, no one ever smelled us eating popcorn again.